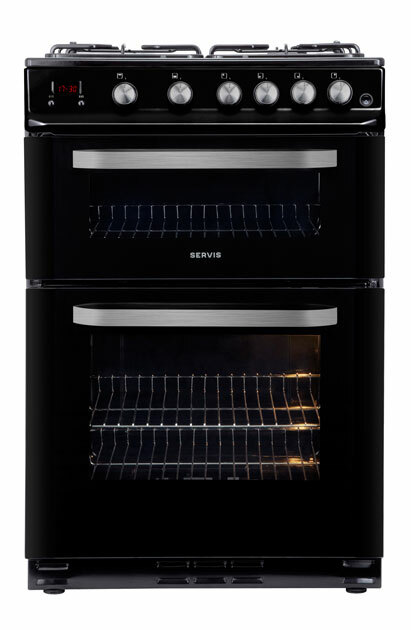 The Servis STG60B freestanding black gas cooker with twin cavity, with separate oven and grill. 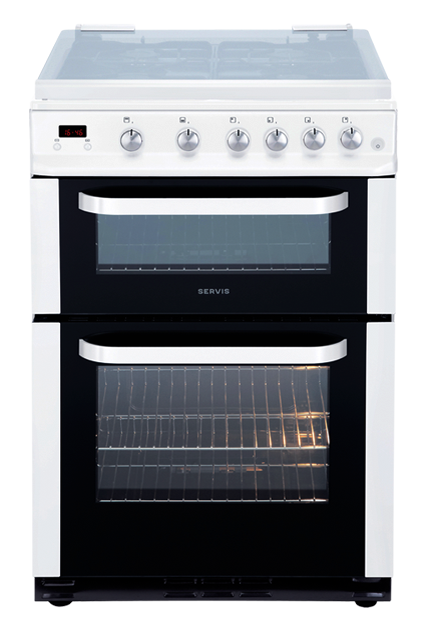 Also comes with an LED timer and stainless steel handles and knob caps. 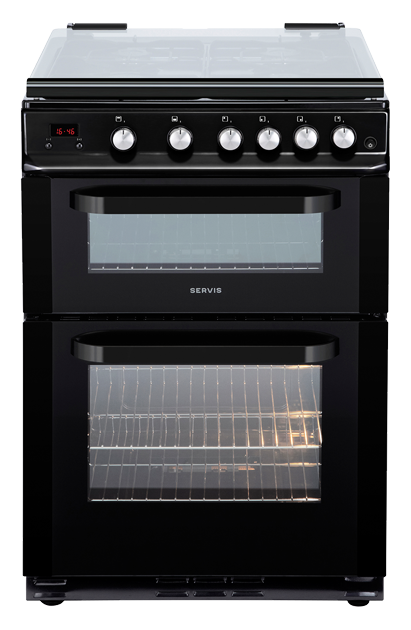 Servis Gas Cookers are made for real life. 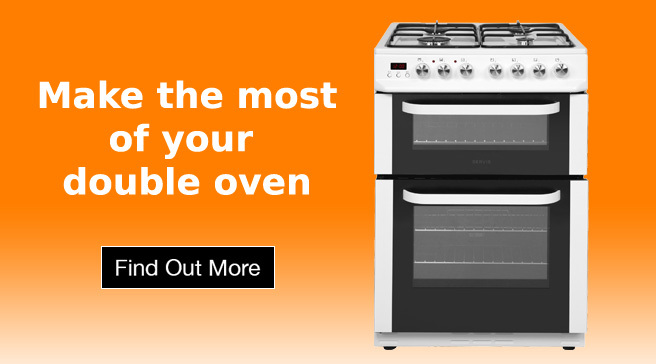 Designed to make cooking easy with a double oven allowing different foods to be cooked at once. 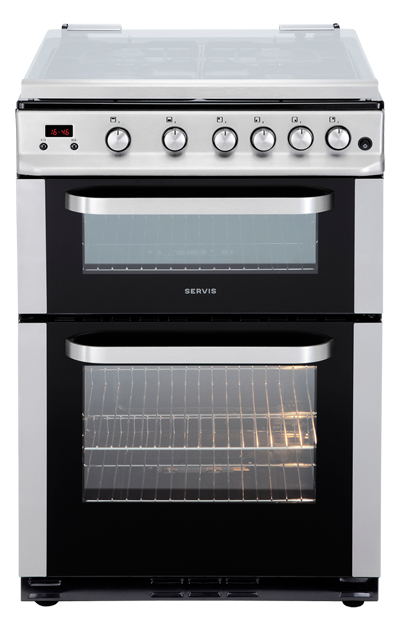 The main oven has a generous 56-litre capacity, whilst the top oven also doubles as a grill for convenience and flexibility. 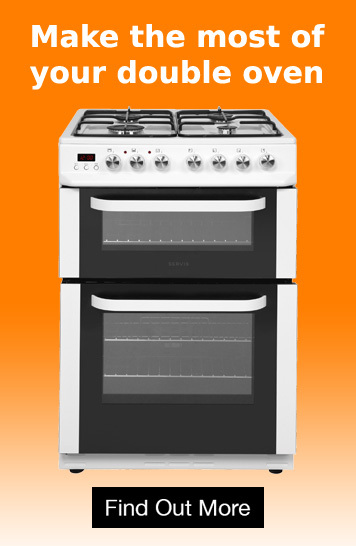 The hob has a glass lid with safety cut out, maximising work space and make cleaning easier, whilst the controllable gas hob with different burner sizes is a dream to use. 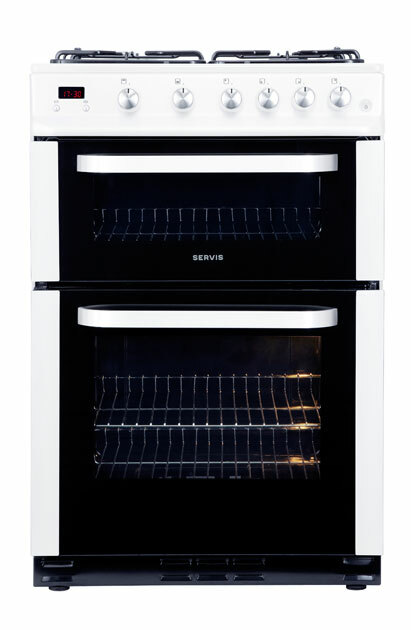 Available in black, white or stainless steel, your Servis cooker comes with a one year parts and labour warranty.